It may seem a distant memory now since we were all busily wrapping Christmas presents & basting the turkey in preparation for a delicious Yuletide lunch but the David Dennis Racing team like so many other racing yards around the country were kept busy over the festive period with plenty of meetings taking place, however we were all rewarded for our efforts with four winners between Boxing Day & New Year. 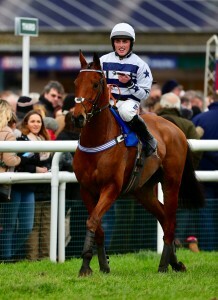 Boxing day saw us enjoy a double with victories at both Huntingdon & Market Rasen with Norse Light & Cyclop respectively. Norse Light was our first runner to get his head in front when landing the Kia Stonic Handicap Chase under David Bass for the David Dennis Racing Club at the Cambridgeshire track. It was Norse Lights first start back over fences since July and after being held up in midfield for the first part of the race, crept into the race steadily to take the lead just before the last & land the spoils in good fashion. You can watch a replay of Norse Lights victory HERE. 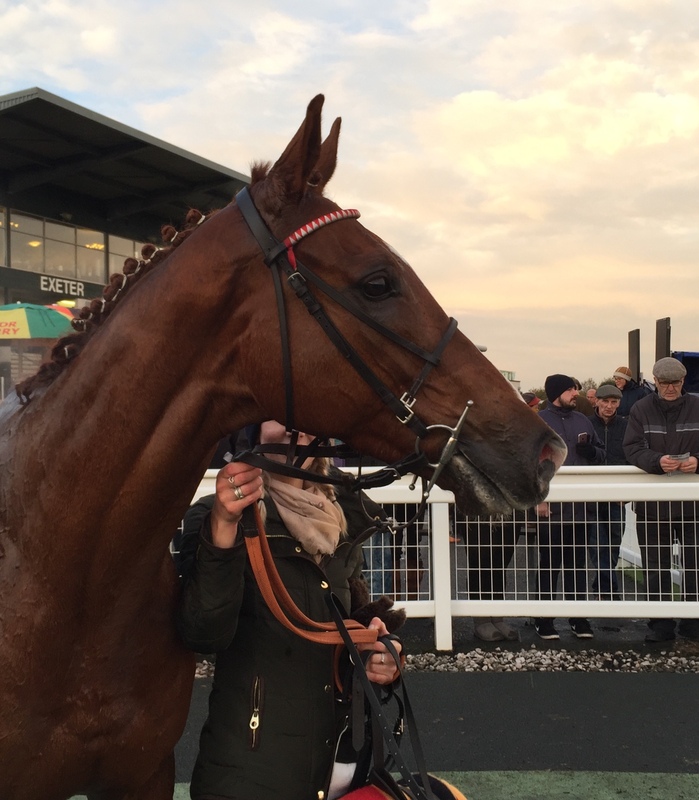 Above – Norse Light enters the Winners Enclosure for the 2nd time in just three runs! Next it was the turn of Cyclop who lined up in the Clugston Lincolnshire National Handicap Chase under Trevor Whelan for owners D D Racing & Professor L P Hardwick. Cyclop had only been ridden by Whelan on one previous occasion but that too resulted in victory when again winning on Boxing Day three years previous back in 2014! The pair were handy throughout the race and despite being heavily pressed by the eventual runner-up along the straight, Cyclop just held on by a short head in a thrilling finish at the end of just over 3m3f. 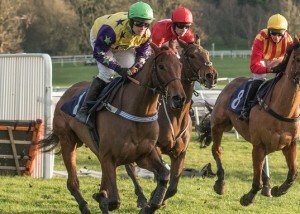 Having been runner up in the Southern National last time out at Fontwell earlier in the season, Cyclop thoroughly deserved to get his head in front on this occasion for all of his thrilled connections. You can watch Cyclop cling on all the way to the line in the Lincolnshire National HERE. 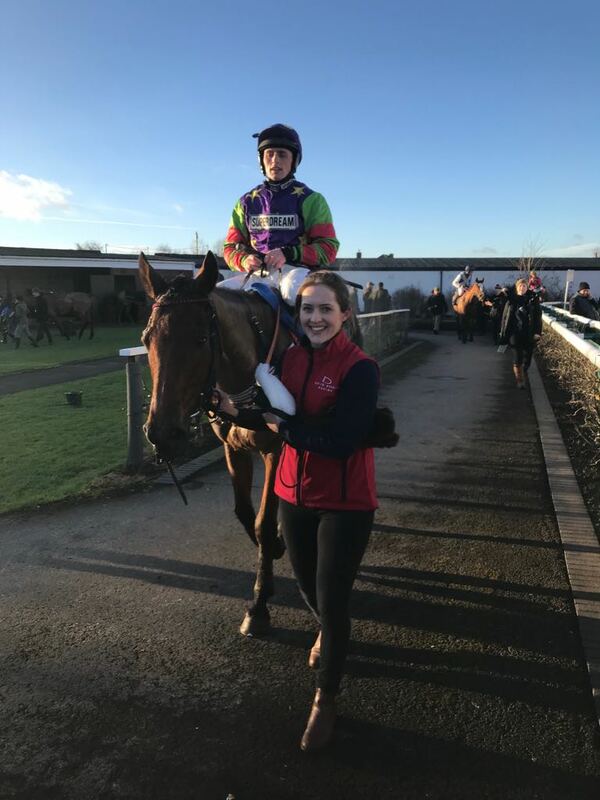 Our third winner of the Festive period came in the shape of Indy Five at Taunton on Saturday 30th December when the son of Vertical Speed was having just his second start for new owners The Dobbin Club. Having been only lightly raced to date, Indy Five finished 9th at Exeter earlier in December on his return to the track after some time away but took to fences with great aplomb at the first time of asking to land the totequadpot Chase under Trevor Whelan. Indy Five made most of the running and jumped brilliantly on his fencing debut to win comfortably by 12 lengths to the delight of all members of The Dobbin Club. Our final winner was at Uttoxeter on New Years Eve itself when Innisfree Lad lined up in the Uttoxeter & Cheadle Voice Handicap Hurdle, partnered by David Bass for owners Rees, Hardwick, Vaughan, Allum & Saville. It was the first time that Innisfree Lad had encountered such heavy going but it served as no hindrance as the 6yo by Yeats was sent into the lead by Bass three hurdles from home to win unchallenged by an impressive 28 lengths. Innisfree Lad is a half brother to our own Cyclop who won just five days previous and with many partnership members of Innisfree Lad also owning a share in Cyclop, it really was an exciting time for all. 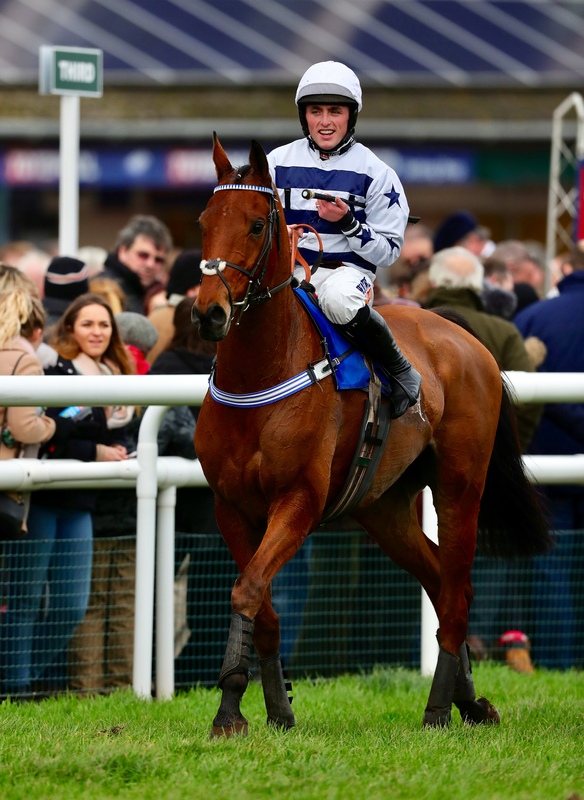 Now fully submerged into the New Year & back into the normal routine, we look forward to plenty of runners in the weeks & months to come in the remainder of the NH season & keep fingers crossed that the horses can continue to run in the same vein that they have been over the past few weeks.